S.B. 9 enacted a sales tax holiday to occur only in 2017. 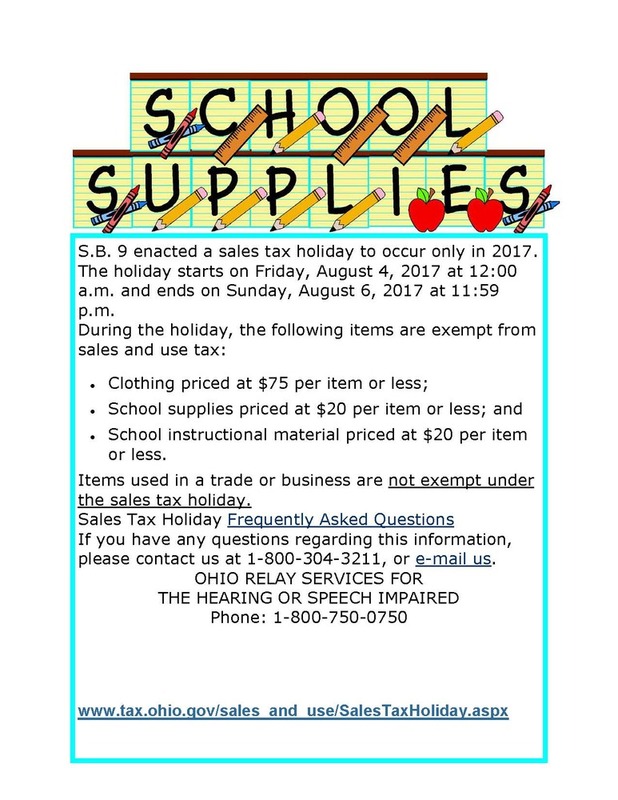 The holiday starts on Friday, August 4, 2017 at 12:00 a.m. and ends on Sunday, August 6, 2017 at 11:59 p.m.
School instructional material priced at $20 per item or less. Items used in a trade or business are not exempt under the sales tax holiday. If you have any questions regarding this information, please contact us at 1-800-304-3211.